On one side there are several benefits including free room and board, use of the family car and a stable work environment. This may be good for someone who is used to living at home or for someone that is new to the area. There is also no commute required to get to work every day, which is nice. 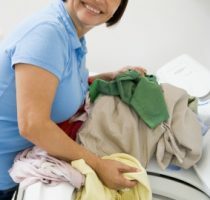 The downfall is that live in nannies usually end up working more hours, do more housework, cooking and laundry and are paid less (since they get the free rent and food). Since you are already there, the family may ask you to work extra and expect you to do it. There are also inevitable privacy issues. Even though you will have your own room, you will be around the family 24/7. If you like your space and are used to living alone, being a live in nanny is not recommended. You will definitely want to do a nanny work agreement with the family if you decide to live-in. This way everything is out in the open and the family will know what your boundaries are. Click Here for NannyCare.com’s sample nanny work agreement.